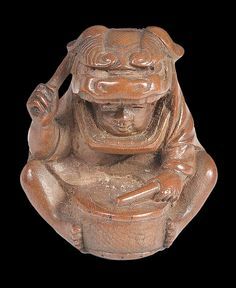 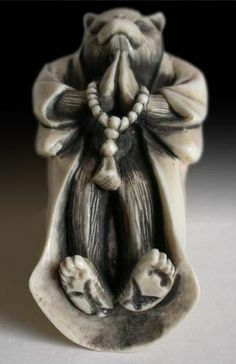 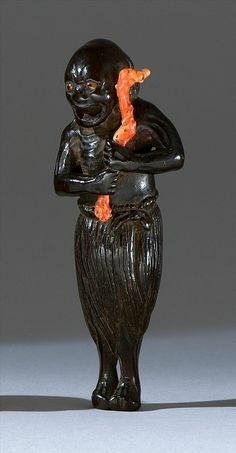 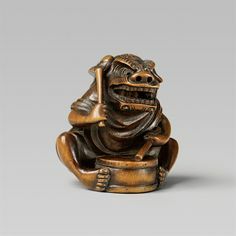 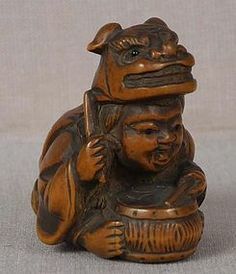 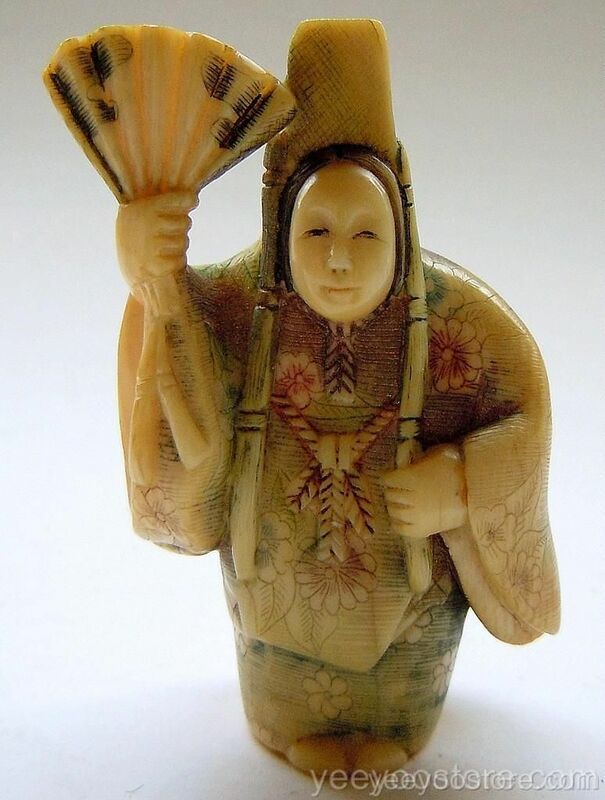 WOOD NETSUKE Depicting Okame seated with a tengu mask. 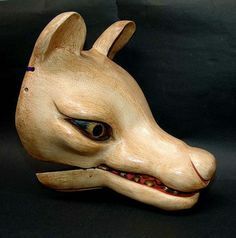 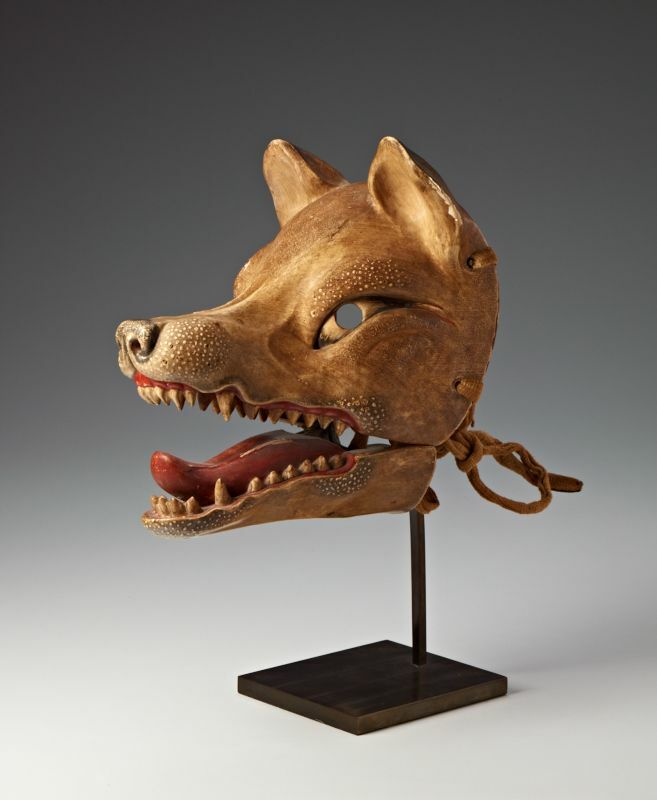 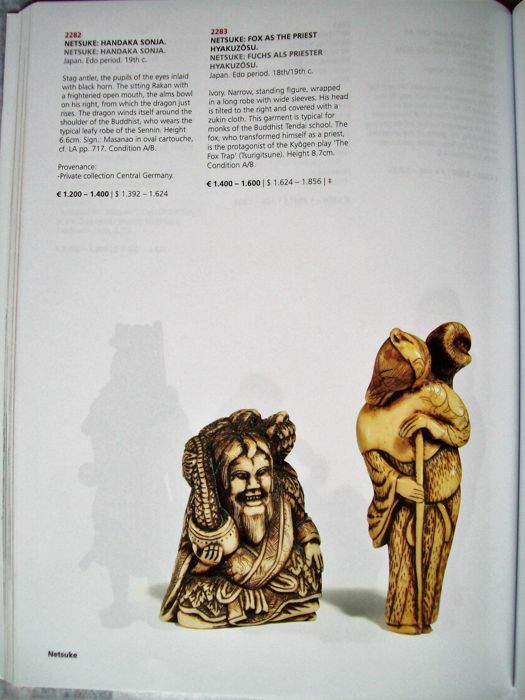 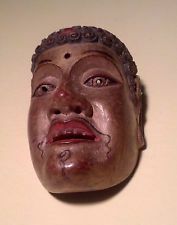 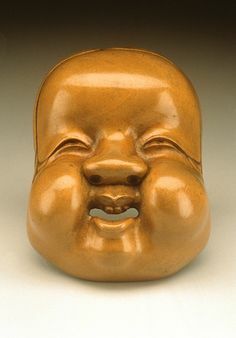 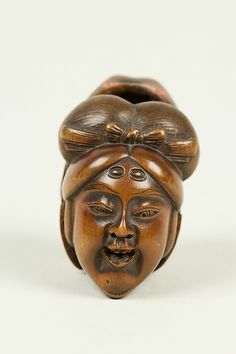 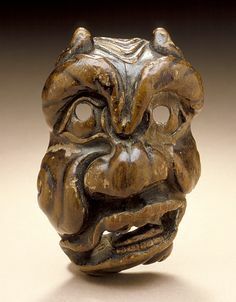 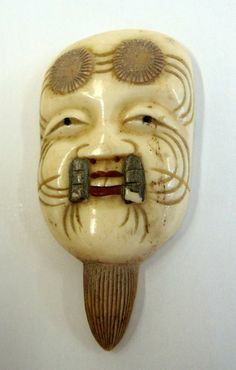 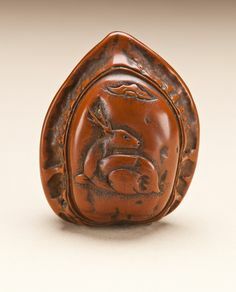 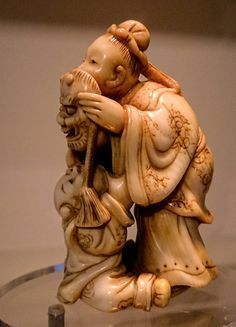 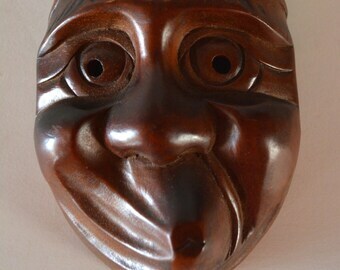 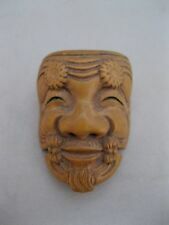 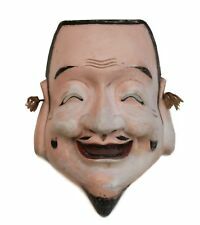 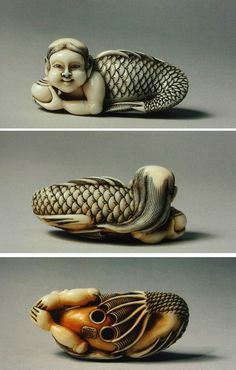 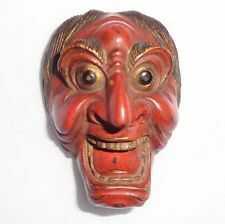 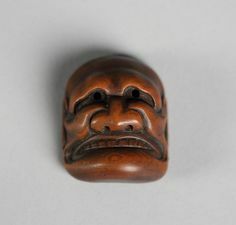 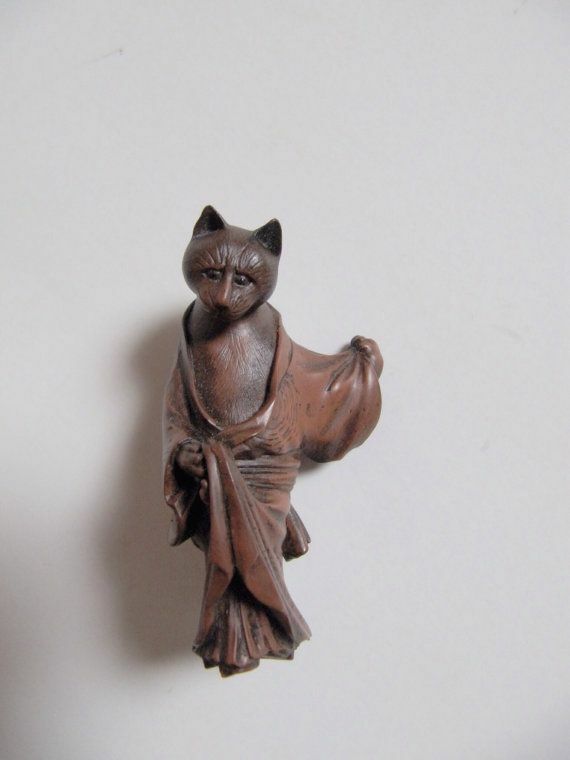 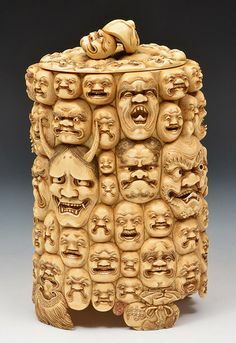 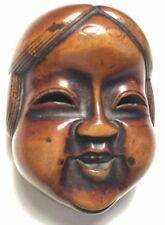 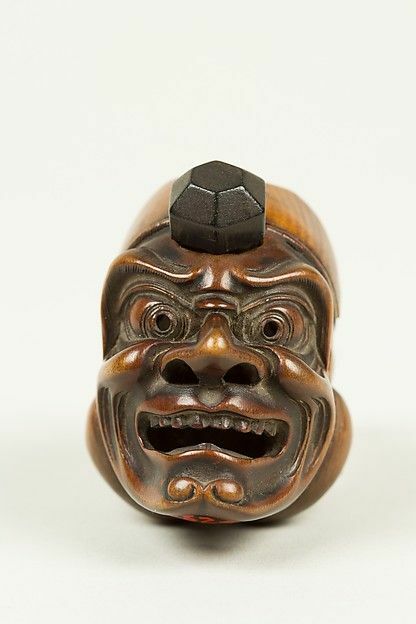 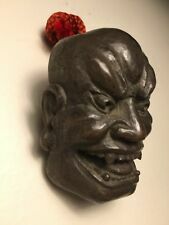 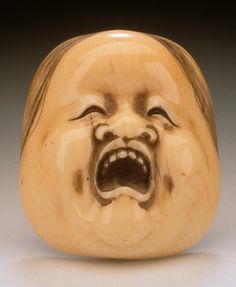 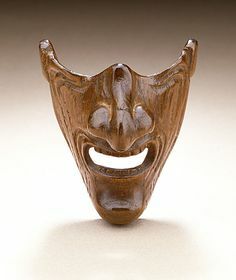 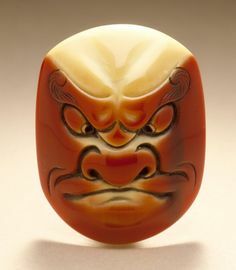 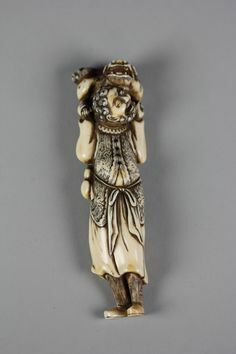 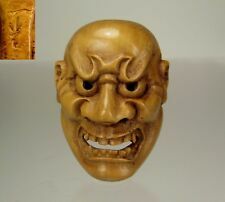 Japanese Netsuke Okame Mask Mennetsuke! 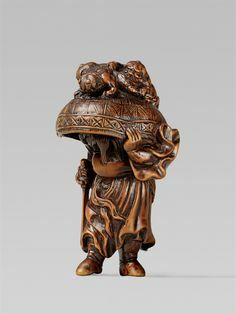 Former Museum of Fine Arts Boston Piece! 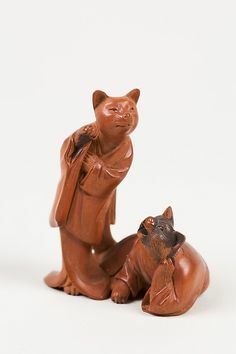 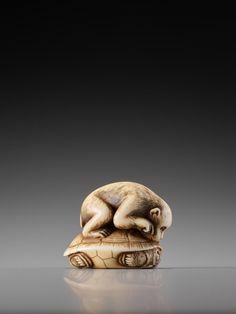 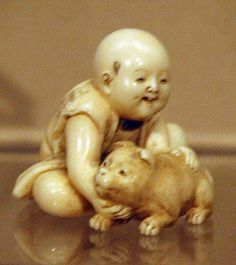 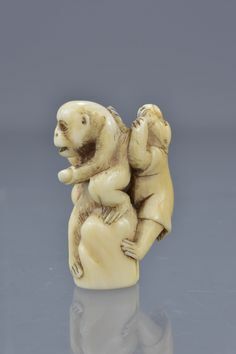 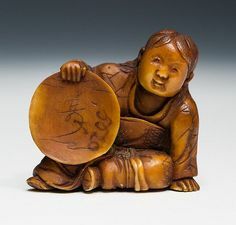 antique Japanese carved Netsuke of a ShiShi & Cub, signed Issan, 19th Century. 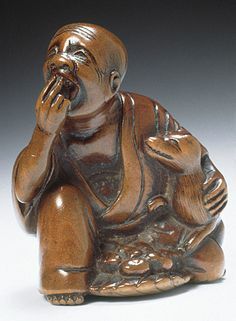 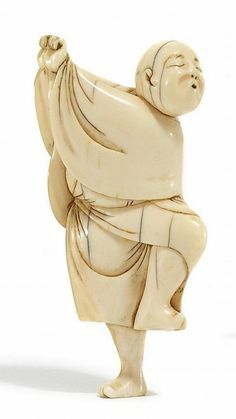 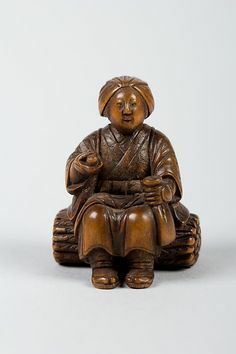 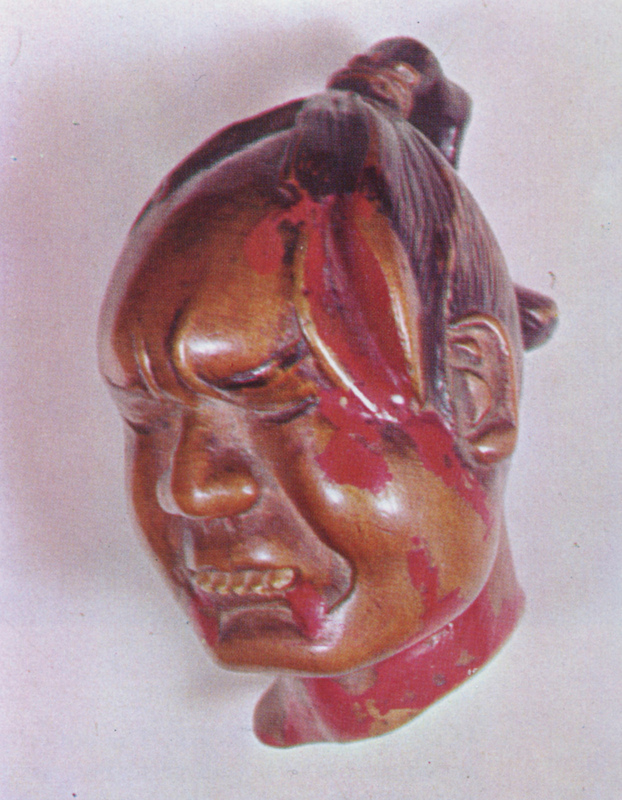 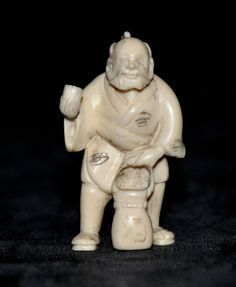 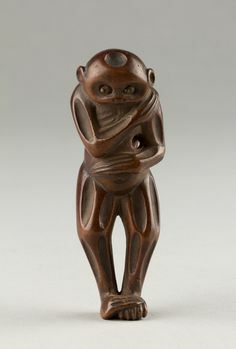 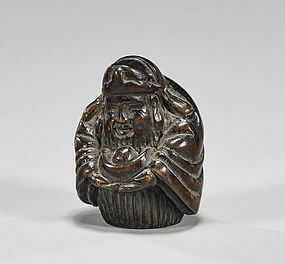 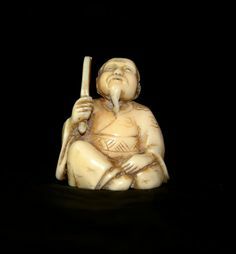 A wood netsuke of a Mongolian man. 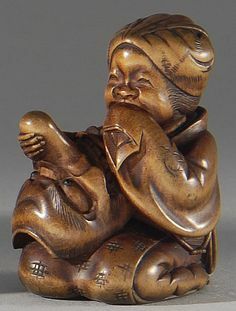 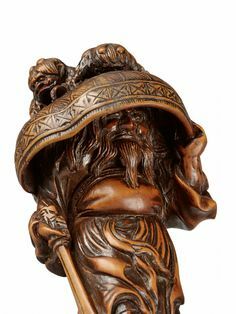 antique Japanese large carved Boxwood Netsuke of a ShiShi, 19th Century, SUPERB.